Wood-burning furnaces are great alternatives to gas or electric furnaces because they will pay for themselves over the lifespan of the stove many times over in the savings reaped from lower heating bills and one less utility bill. Wood-burning furnaces are great alternatives to gas or electric furnaces because they will pay for themselves over the lifespan of the stove many times over in the savings reaped from lower heating bills and one less utility bill. 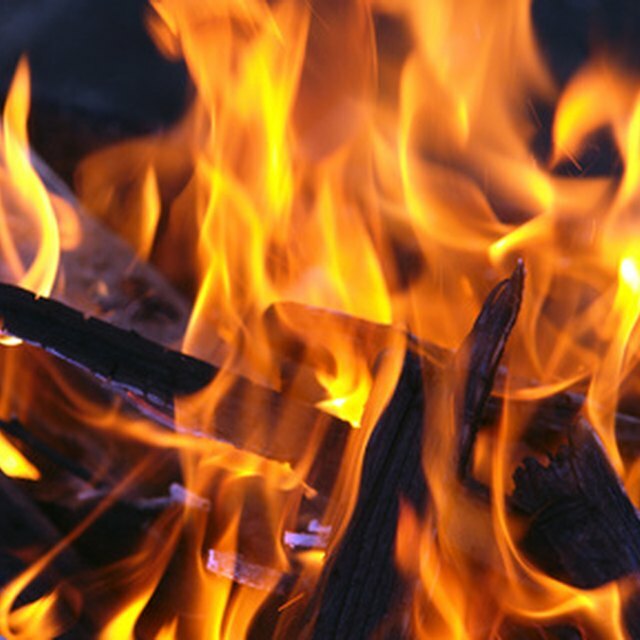 Wood-burning furnaces are fairly easy to maintain and relatively straightforward to install. There are essentially two basic types of wood burning furnaces--indoor and outdoor. An indoor furnace is the most common and easiest to install. Remove the old furnace by shutting off the power and/or gas to it via the breaker box. Remove the gas and/or connections with the crescent wrenches. Use the crescent wrenches to unscrew the mounting bolts holding the furnace to the floor or wall. Remove the screws mounting the furnace blower to the ductwork collector that leads to the runs of ductwork throughout the rest of the house. Use the provided hardware to mount the wood-burning furnace into place where the old furnace was mounted and screw the ductwork collector into the outtake of the wood-burning furnace. Assemble the furnace exhaust pipe and route it either through a window or a wall to allow any smoke to escape into the atmosphere. Fill the furnace with wood and light the fire. If your furnace is equipped with internal blowers, connect the wiring harnesses to an outlet and turn the fans on to begin heating your home naturally and safely. If there is any wiring needed other than simply plugging the furnace into an existing outlet, make sure that it is prepared by a certified professional to avoid personal injury or damage to your home. Is Vitamin B6 an Insect Repellent?